Summertime means festivals, and festivals mean a variety of unique sights and sounds. 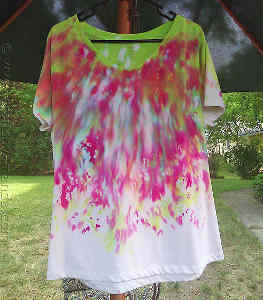 People often show off their personal style during Coachella and other music and arts festivals. This summer, many folks are choosing to go boho with their wardrobe. What is boho, you ask? 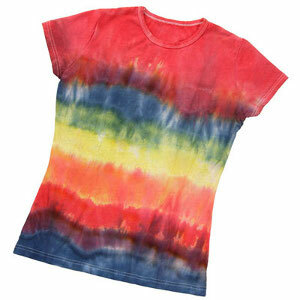 When I think of the word “boho,” I think of the way a stream moves: free-flowing and breezy. 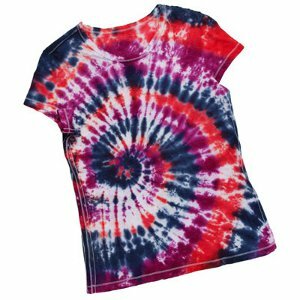 Bohemian clothing often includes loose-fitting tops and lightweight skirts made from organic fabrics to be mindful of the environment. It also tends to include a lot of jewelry and embellishments. In America, the Bohemian style went big during the late 1960s and early 1970s. Fashion icons like Janis Joplin, Stevie Nicks, and Cher popularized the hippie, free-spirited look with their flowing peasant tops and layers of beaded accessories. 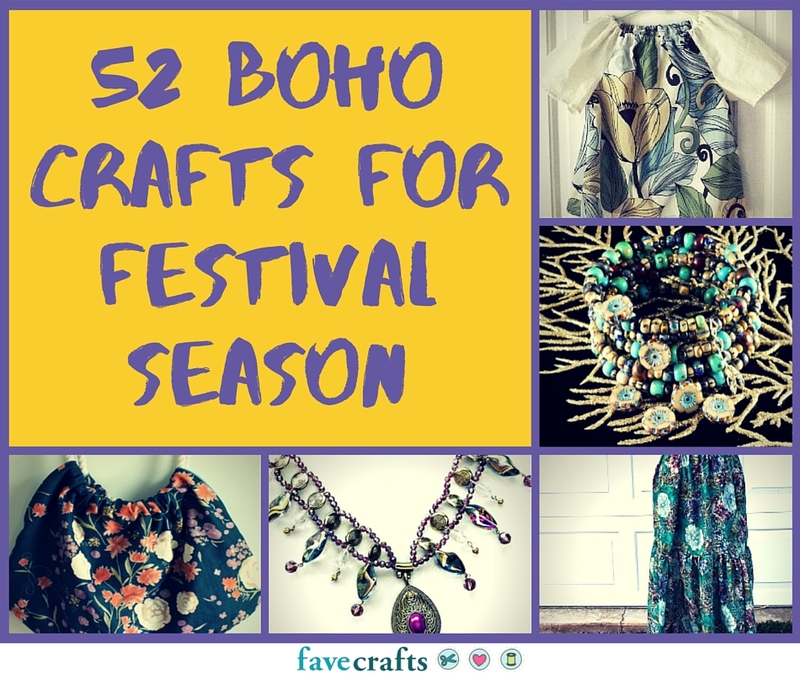 Taking a cue from these icons, I’ve compiled a list of 52 Boho Crafts for Festival Season that would be perfect for you to make and wear this summer. 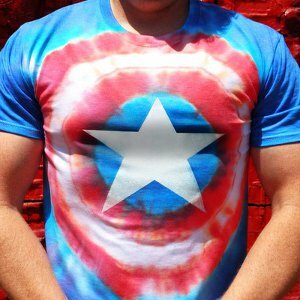 Check it out below and get started crafting! Vintage is in! You’ll love these Bohemian clothes and accessories. From maxi dresses to scarves to peasant tops, everyone can find something that they’ll enjoy wearing this summer. Earthy Crochet Wrap Love, love, love! Boho Scarf Maxi Dress NEW! Necklaces, earrings, bracelets, midi rings – if it’s beaded, you can bet it’s Bohemian! 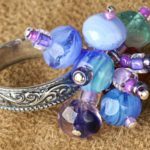 Check out these amazing beaded accessories to go with any outfit. Unique Tasseled Fishbone Earrings You’ve never seen anything like this! Dreamy Dreamcatcher Earrings OMG cute! 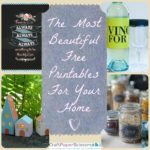 Boho isn’t just a way you dress – it’s how you live! 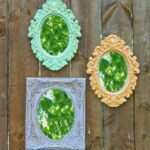 Try some of these home decor ideas to make your house boho chic. Vintage Window Frame Organizer You need this! 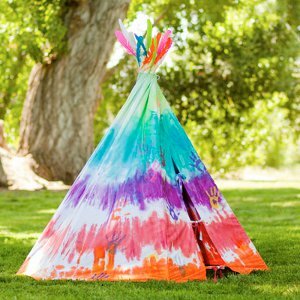 What events will you be attending this summer in boho chic? Everybody knows that good things come in pairs. One earbud isn’t the same as two earbuds, cookies don’t taste as yummy without milk, and if you’re missing a contact lens, you know you’re out of luck. Similarly, every flip needs its flop! 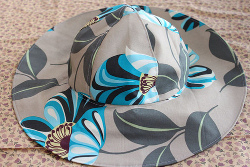 Bring your two favorite summer accessories together and make the most out of them. 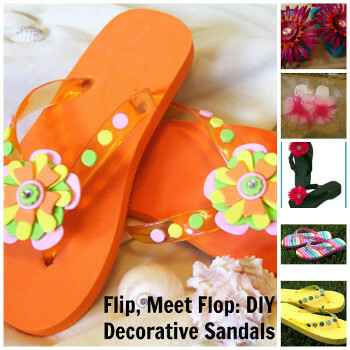 Decorating flip flops transforms boring sandals into cute or glamorous footwear. All it takes is a crafty touch. 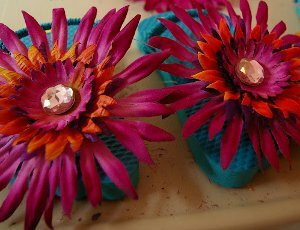 Don’t let your flip flops run naked this summer, (leave that to the baby running through the sprinkler) and give them some fashionable flair. Fab Summer Flip Flops – These cute sandals are a real treat for your poor toes that have been crammed into socks all year. 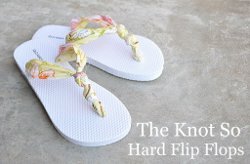 The Knot So Hard Flip Flop DIY – If you’re not liking what you see in the stores, make your own easy footwear with this tutorial. Microspun Crochet Fantabulous Flip Flops – There’s no need to throw out your old flip flops. Yellow Flip Flops – Dress up any pair of flip flops with some cute summertime bling and let the sunshine in. 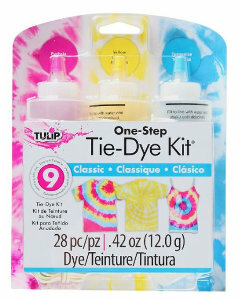 Rainbow Flip Flops – Decorating your flip flops has never been this colorful or this fun. Denim & Lace Flip Flops – Denim and lace look just as cool on your feet as they look on the rest of your body. Your flip flops will be dressed as sharply as you will. 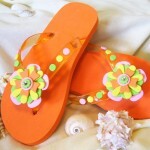 Dazzling Daisy Flip Flops – These kid-friendly flip flops are easy to make and fun to wear. 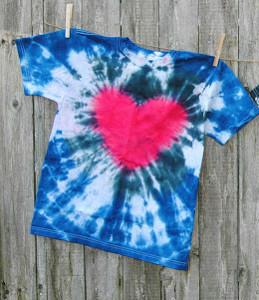 (They’re also easy to wear and fun to make.) Flippy Floppy Feathery Slippers – Even though these flip-flops-turned-slippers are more for indoor wear than outdoor wear, they are still plenty of fun and look great on your feet. Feel free to personalize them however you choose, in order to fully pamper your feet. Crocodile Flip Flops – Don’t worry, these flip flops don’t bite, but they do look great on your feet. Adding some crochet designs is just the extra love that your flip flops need. 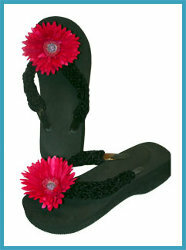 Flowery Flip Flops – Make sure your sandals stand out and add a few glamorous flowers to the top. Summer flair has never looked this sweet. Flip Flop Wreath – When summer knocks, welcome her in with this cute decoration. 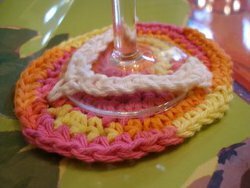 Summer Flip Flop Wreath – The sun is out, the temperature is rising, and everybody knows that the official symbol of summertime joy is the flip flop. Make this wreath to ring in the new season. You’ll be in the summer spirit when you realize how simple and adorable this decoration looks. Crocheted Glass Flip Flops – These are just what you need to throw a fabulous summer party. Invite your friends over for a night of cocktails, without the water rings. Beach Plaque – This project lets you bring out the paints as well as the flip flops. What accessory gets you in the mood for summer? With winter comes the Naughty and Nice Lists, and with summer comes The Nautical List. The sun is shining, the birds are chirping, the waves are crashing, and it’s time for everyone to take to the seven seas. Okay, so maybe not everyone. 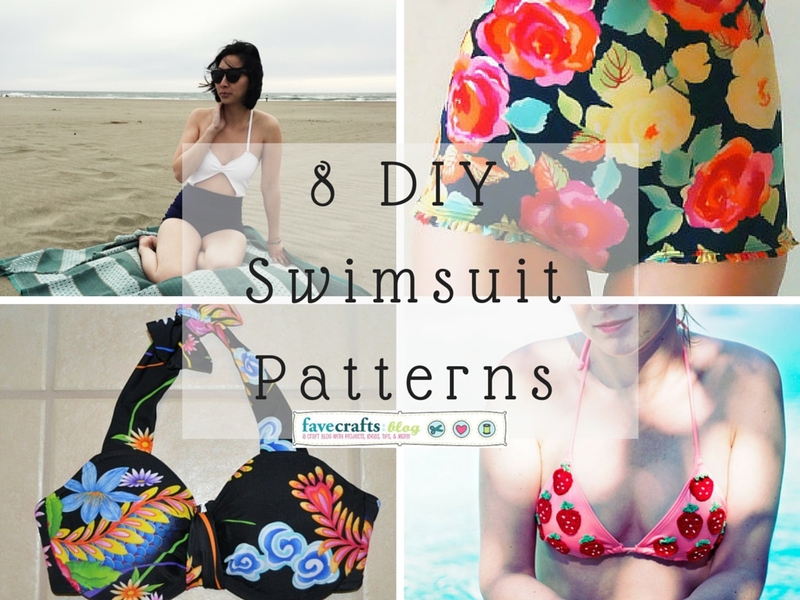 But even if you won’t be boarding the S.S. Summer Sailor, you can still sport the look by sewing some of these nautical crafts. Whether you love the stripes or are a fan of the anchors, there’s a nautical fashion out there for everyone. Grab some thread, your sewing machine, and your best sailor-inspired fabrics. It’s time to sew some nautical crafts to get you ready for summer fun. Check out the projects below to decide which nautical craft you want to try out first. 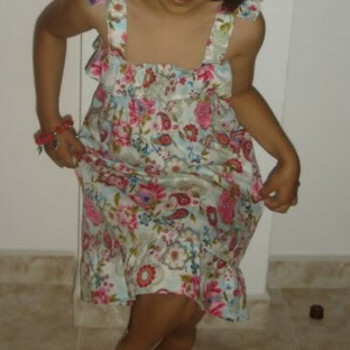 The nautical style is for everyone of all ages. 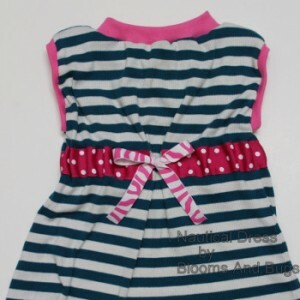 Sew your daughter a cute little nautical dress, accented with her favorite color around the sleeves and neck. 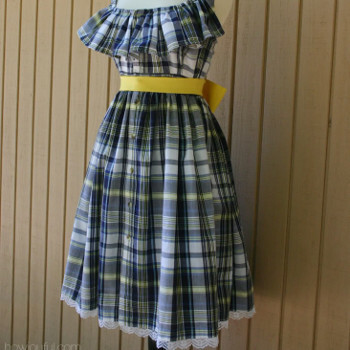 The adorable cinched belt and bow add a youthful touch to this sea-themed ensemble. 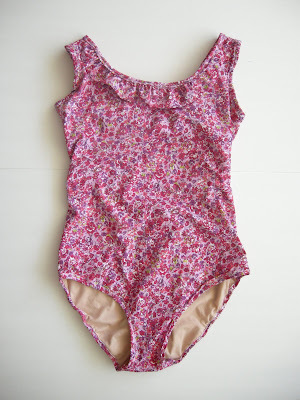 She’ll love the feel of the soft, knit fabric, and you’ll love how easy this dress is to create. 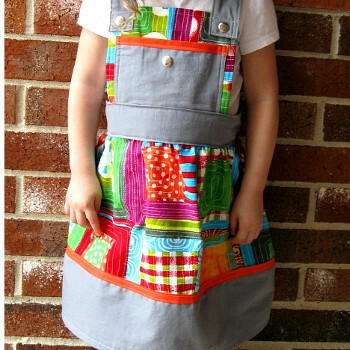 With just a little bit of fabric and a few matching buttons, you can sew this fun dress for your little girl. 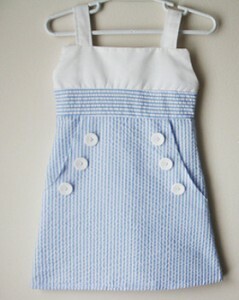 She will love showing off her boat-inspired outfit while she’s playing in the summer sun with all of her friends. 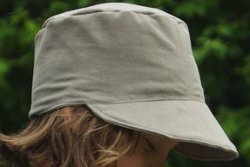 The large front pockets are a great for little hands collecting seashells. 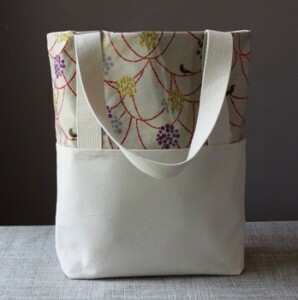 A simple, sailor-style tote is just a little bit of sewing away. This sturdy, boat-themed bag is perfect to take anywhere this summer, and it’s spacious enough to hold all your belongings when you head out for the day. Look no further than this tote if you’re ready to sew a nautical craft that will make everyone’s head turn. 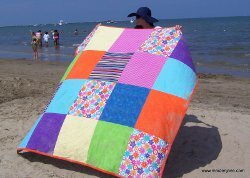 What’s your favorite nautical craft to sew? My fiance and I went for an evening walk last night. 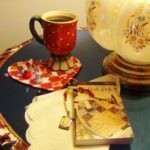 It made me feel like an old married couple – and I kind of liked it. We left the house around 9:00 and were out for about 40 minutes or so. The cool night air was super refreshing compared to this past weekend of upper 90-degree heat without any relief in the evening. I will admit I wasn’t dress properly, I wore a tank top and shorts thinking it would still be pretty warm and I was sure wrong. The somewhat cold feeling was welcome, though, after living in a house with a broken air conditioner for the past several days. So that was that. I’m getting older and enjoying romantic walks around the neighborhood on cool summer evenings. Yay. 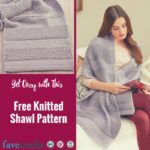 I came across a few fun knitting patterns – for those of you quick knitters – perfect for summer nights when we want a little extra comfort in a nice lightweight sweater. 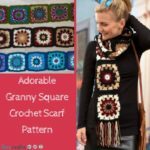 Make sure you check out these Spring knitting projects as well!